The air that hangs above us wouldn’t be the same if it wasn’t for one man. He is now considered a hero, he had the courage and bravery to break the invisible barrier in the sky. This man was Chuck (Charles) Yeager, born on February 13, 1923. A hero is someone who can inspire others and change the way we live. Yeager has not exactly changed the way we live, but rather the air we breathe. He has done the impossible through his ambition and preparation. As a child Yeager was a very active kid doing what most kids did to have fun, but what set him apart from the others is his ambition to reach his highest potential and beat the others. “Whether it was swinging from vines over the swimming hole or skiing down hills on barrel staves during the first snowfall, I always tried to do my best. We made and raced our own bobsleds too, so I knew what a skid was when I first learned to fly.” (Betzold). Though he was young, Yeager knew that he always wanted to be on top. He would push himself to the limits to become victorious in games he played with his friends. Yeager didn’t know it at the time, but he soon developed a characteristic that would make him a hero to all who admire the man made bird that soars above our heads. When Yeager grew up he decided to join the air force flying fighter planes during the time of World War II. Throughout his time in war he shot down many planes and had a natural born ability to fly. “1947 Yeager was trained as a test pilot at Wright Field in Dayton, Ohio. 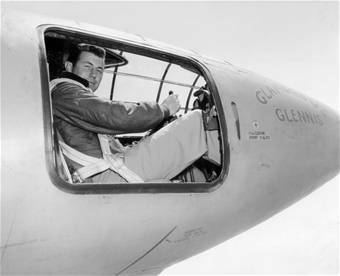 He showed great talent for stunt-team flying and was chosen to go to Muroc Field in California, later to become Edwards Air Force Base, to work on the top-secret XS-1 project.” (DISCovering Biography). Yeager knew this project would be dangerous and life threatening, but if done correctly, it would be one of the most amazing feat ever accomplished in aviation history. Yeager, filled with anticipation, was ready. A few days before Yeager climbed into the aircraft, he possessed his other heroic ability, the ability to prepare and be ready for anything. “I was always afraid of dying. Always. It was my fear that made me learn everything I could about my airplane and my emergency equipment, and kept me flying respectful of my machine and always alert in a cockpit. Death is the great enemy and robber in my profession, taking away so many friends over the years, all of them young.” (Betzold). This fear didn’t stop him at all from achieving his ultimate goal. It just made him work harder and study everything there was about flying. It prepared him in a way that with so much knowledge he was almost invincible. On top of being invincible and having great ambition, Yeager was fearless. A few others have tried to break the barrier before, but failed and paid with their lives. Yeager though risking his life in the name of science he was a very smart man, with his hours of preparation he was able to predict that after breaking the barrier everything would be smooth. On the day of the official flight Yeager filled with butterflies and pain. A few nights before he had gone horseback riding with his wife and ran into a fence and broke two ribs, but he didn’t want to tell his supervisors because after so much hard work he didn’t want to throw it all away. This shows that Yeager was very determined, flying in a shaky airplane reaching unthinkable speeds he was still able to bear the pain of his two ribs rattling around inside him. As he flew faster and faster nearing mach 1, the speed of sound, things started to stiffen up, just as the other pilots said, but miraculously Yeager’s prediction was correct. After breaking the barrier things were exactly the way he predicted. “It was so smooth that Grandma would be sitting up there sipping lemonade.” (Betzold). He became the first man ever to ever break the sound barrier and created the first ever sonic boom in world history. Throughout Yeager’s life he has always been ambitious, determined, prepared, and brave. This consistency and superior quality he carried inspired me and many others to do their best and try their hardest at everything they do. 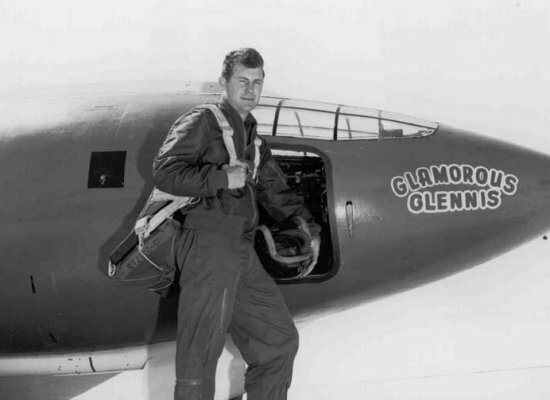 Without Chuck Yeager, the world would never have known that it was possible to fly faster than the speed of sound. 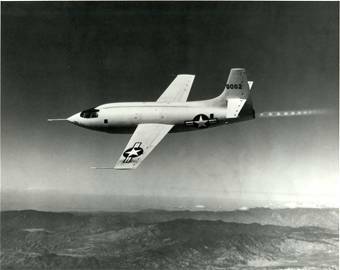 Without Chuck Yeager, we would still have planes that that fly less than mach 1. Chuck (Charles) Yeager, though a human like everyone else, is a hero.